Good morning everyone, back here with us again to talk some more about the unique attractions in Indonesia. In the previous article, we discussed the best spots in things to do in Probolinggo. That Porobolinggo is located in the East Java Province, while this Purbalingga is in Central Java. Now, we want to tell you about another city that as almost the same name as Probolinggo. The first one of our list things to do in Purbalingga is of course the Bukit Watu Geong. 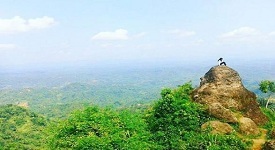 Just like the hills in things to do in Ciwidey, this hill is also one of the best high place out there to see how magnificent the view of Purbalingga is. You can come in here with your whole crew. 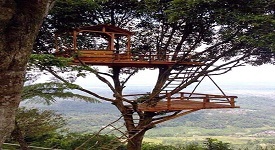 It’s not so difficult to find it, it’s located on Gunungwuled village area. Usually the people will follow the guidance on the street for going to this place. Beside the great location it has, the main point of it is the cheap entrance ticket. By that, many people will always love it. 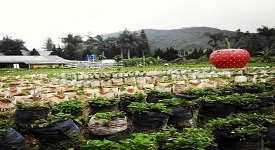 The next one is this Agro Tourism and Rest Area called Asri Purbalingga. Well, this is a great place for family vacation, because it’s hard to find this kind of Agro Tourism in Central Java. Almost like the Agro tourism in things to do in Blitar, this place is also well maintained by the corresponding staff. Also, the supporting facilities in here are always be a great help for the resting travelers. You can enjoy some meals or drinks before continuing your journey. Or, you can just stop here and waiting for the next day to come. It’s totally up to you. You can find it in Karangrejo area, Serang. In the spots of the third until the fifth place, we want to tell you some more about the Curugs or Waterfalls in the area of Purbalingga. 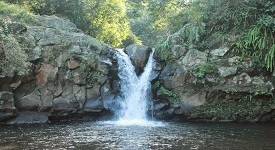 In the third place we have the Tempuran Waterfall. This one is pretty stony in some spots, even you can notice the big rock in there. Chilling in here is perfect if you gathered some friends with you. Doing the rock diving from the giant rock is totally fun! But remember, at least you should able to swim first before doing that, or anything else will happen. And then, we have this Nini Waterfall. 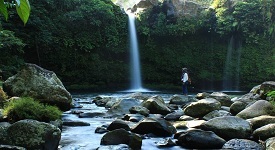 This maybe one of the best waterfalls in Indonesia, located just in the Probolinggo city. To be specific, you can look after it in the area of Cipaku Village, Mrebet. This waterfall is so epic with its rocky walls, that almost reach 2 meters high. With that background, you can create such a great photos in this spectacular location. The water in there is also very refreshing, so perfect for relaxing and clearing your mind from all the stress you’ve got in busy daily activities. The Nini Waterfall is so great for preparing the mind for something useful, like the work, or final tests. Clearing your mind with such an easy way. After Nini Wwaterfall, you can go to the next wonderful hill called Igir Wingir. This is the great place to do romantic photo sessions with your love one. Great environment is the high light of this spot. But beside that, the place looks even more comfortable with the addition of supporting stuff. Well, the place is usually filled with teenagers, especially in the Saturday night, when they can see the view around with dozens of lamps and stars. That view is really priceless, the view that you can only get in the Igir Wigir hill that located in the area of Panusupan village, Rembang. Finally, on the sixth place we have the Owabong Waterpark. Weekend is better used as the day to celebrate your free day by doing some fun stuff with your family. 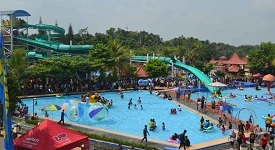 This place can provide your family with many entertainments to do to make your day more fun and happy. The location iteself is pretty clean, there’s no rubbish lying around the spot, which is great. The rides there are also good ones to try, eithe for yourself, or your other family members. This place will be a great choice to spend the weekend with such an affordable price. For you who interested, you can take a loot at its location, in the Owabong Street 1. Be sure to visit these spots too! Money Museum, learn some more about money only in here ! Kurcaci (Dwarf) Village, it’ll be an epic journey to visit this small village! Those are the best places included on the things to do in Purbalingga. Make sure to explore them all to get the best yet the complete journey during your trip in Central Java. Also, be sure to prepare for anything in there, because you wouldn’t know if there’s something great on its way towards you. That’s it, have a good day !